Pioneer introduced their second generation NEX head units at CES 2015 last month. 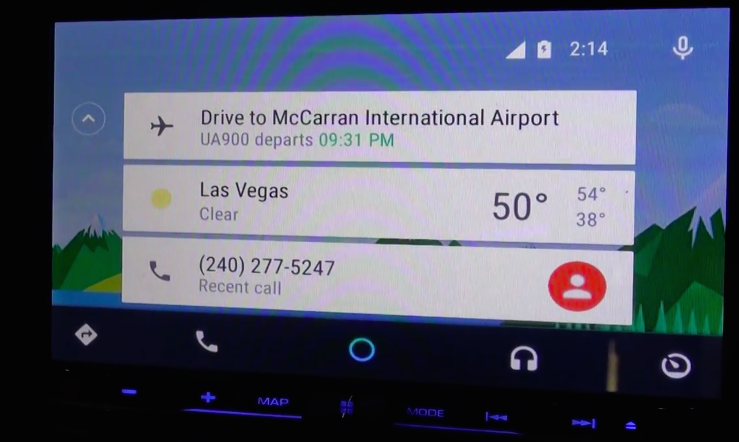 Three of the five devices will be Android Auto-capable along with Apple CarPlay. The AVIC-8100NEX will be Pioneer's new flagship head unit with a robust set of features. At CES 2015, Pioneer demoed those head units for the media. Check out this YouTube video by 'Presenterbloke' showing how Google's Android Auto will work on the aftermarket receiver. The second generation NEX head units are expected to go on sale this Spring. Head units that give users the option of Android Auto as well as Apple CarPlay are going to be the norm this year with other aftermarket manufacturers joining the race to deliver such products. Along with Pioneer, Alpine, JVC Kenwood and Parrot have already announced upcoming head units with Android Auto and Apple CarPlay capabilities.